Welcome to our veterinary clinic! Closed Saturdays of Statutory holiday weekends. We are equipped to treat a wide variety of medical conditions. Many diagnostic procedures can be performed in hospital to improve the treatment and care provided to your pet. We provide preventative services which include routine cleanings and tips on oral hygiene and dental diets. We also offer dental surgery and radiography for more advance dental disease. We provide wellness and vaccination consultations for puppies, kittens, adults, and seniors with a focus on annual health examination to ensure they are happy and healthy at every stage of their lives. Our veterinarian is experienced in providing care and treatment for exotic companion animals, including rabbits, guinea pigs, rats, hamsters, ferrets and others. 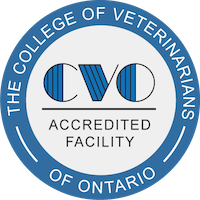 © 2019 Veterinarians Hamilton Ontario | Upper Ottawa Animal Hospital.